The following report is based on Zeus 2.0.8.9, which is old, but I believe a lot of Zeus clones (and C&C panels) depend on this code. inurl:install/index.php - this should be deleted, but I think this is useless now. Missing HttpOnly flag on session cookie - could be nice if I could find any XSS. I need more time to find one! This is a CSRF POC to create a new admin user in Zeus admin panels. You might change the URL from 127.0.0.1. Redirecting in a hidden iframe in <span id="countdown">10</span> seconds. MD5 password - the passwords stored in MySQL are MD5 passwords. No PBKDF2, bcrypt, scrypt, salt, whatever. MD5. Remember me (MD5 cookies) - very bad idea. In this case the remember me function is implemented in a way where the MD5 of the password and MD5 of the username is stored in a cookie. If I have XSS, I could get the MD5(password) as well. SQLi - although concatenation is used instead of parameterized queries, and addslashes are used, the integers are always quoted. This means it can be hacked only in case of special encoding like GB/Big5, pretty unlikely. The system directory is protected with .htaccess deny from all. 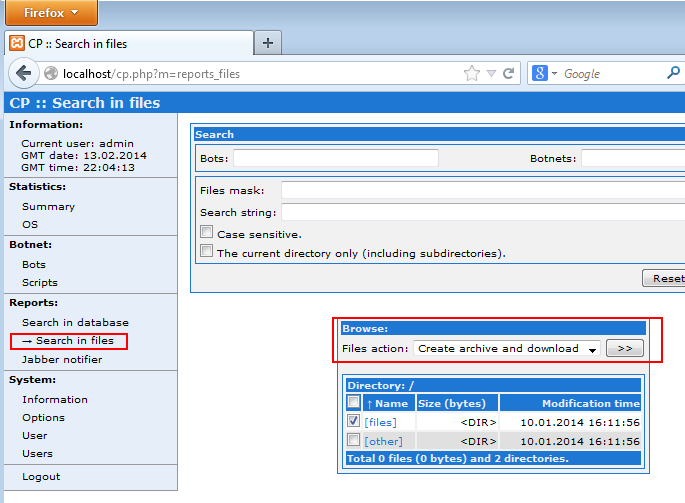 gate.php - this is the "gate" between the bots and the server, this PHP is always exposed to the Internet. The execution of this PHP dies early if you don't know the key. But you can get the key from the binary of this specific botnet (another URL how to do this). If you have the key, then you can fill the database with garbage, but that's all I can think of now. My evil thought was to inject malicious bot_id, but looks like it has been filtered everywhere. Sad panda. And the best vuln I was able to find, remote code execution through command injection (happy panda), but only for authenticated users (sad panda). Recommendation: use escapeshellcmd next time. But I had an idea: This can be a pretty good small research for fun. Only publicly available tools can be used for this hack, so no tool development. This is a CTF for script bunniez, and we can't haz code! Only hacks without user interaction are allowed (IE based sploits are out of scope). I need instant remote code execution. For example, if I can drop a malware to the c: drive, and change autoexec.bat, I'm still not done, because no one will reboot the CTF machine in a real CTF for me. If I can reboot the machine, that's OK. I don't have physical access. 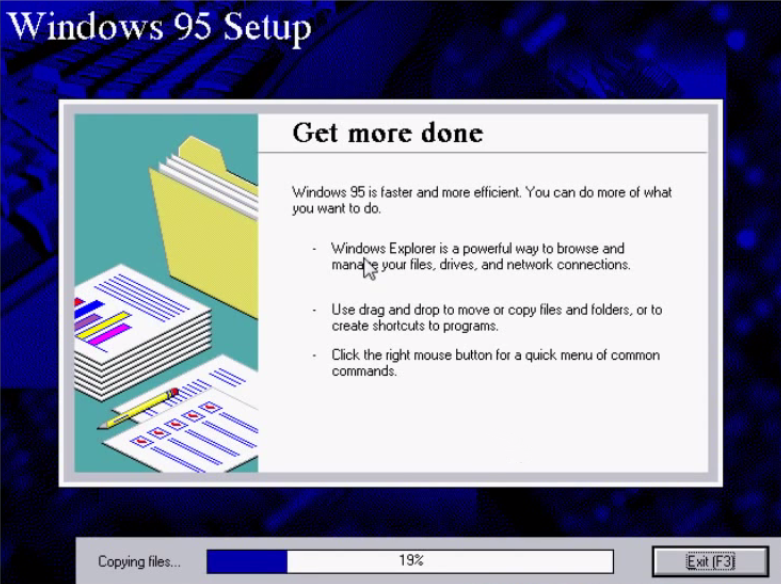 I have chosen Windows 95 for this task. 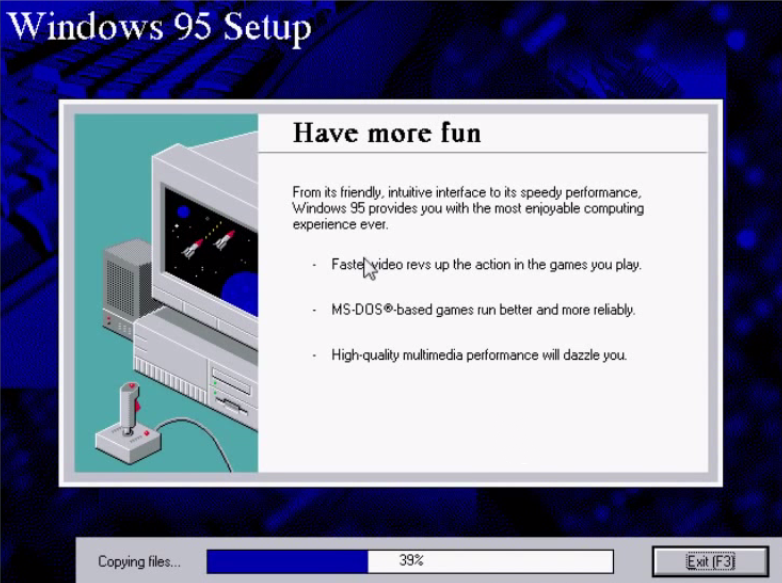 First I had to get a genuine Windows 95 installer, so I visited the Microsoft online shop, and downloaded it from their official site. 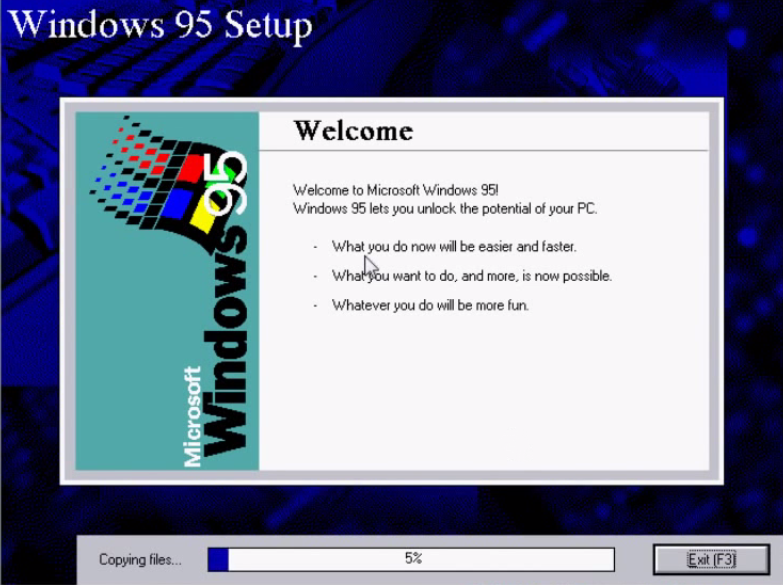 Now that I have a working Windows 95 box, setting up the TCP/IP is easy, let's try to hack it! The first interesting thing to note is that there is no port 445! Port 445 is only since NT 4.0. If you check all the famous windows sploits (e.g. MS03-026, MS08-067), all of them use port 445 and named pipes. But there are no named pipes on Windows 95! Because I'm a Nessus monkey, let's run a free Nessus scan on it! Thanks for the nothing, Nessus! But at least it was for free. 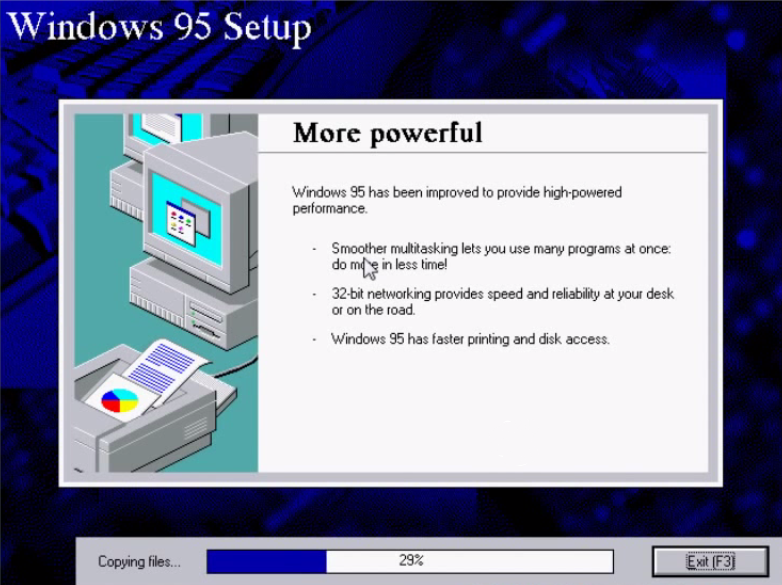 Windows 95/98/ME Share Level Password Bypass - BINGO! 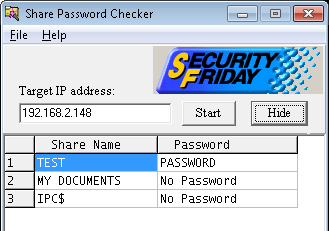 A flaw in the Windows 95/98/ME File and Print Sharing service allows unauthorized users to access file and print shares by sending the first character of the password. Due to the limited number of attempts required to guess the password, brute force attacks can be performed in just a few seconds. Established connection to share TEST with password P"
For example if the password is "Password" (without quotes) and the client sends the password "P" (without quotes) and the length of 1, the client is authenticated. To find the rest of the password, the attacker increments the length to 2 and starts guessing the second letter until he reaches "PA" and gets authenticated again. 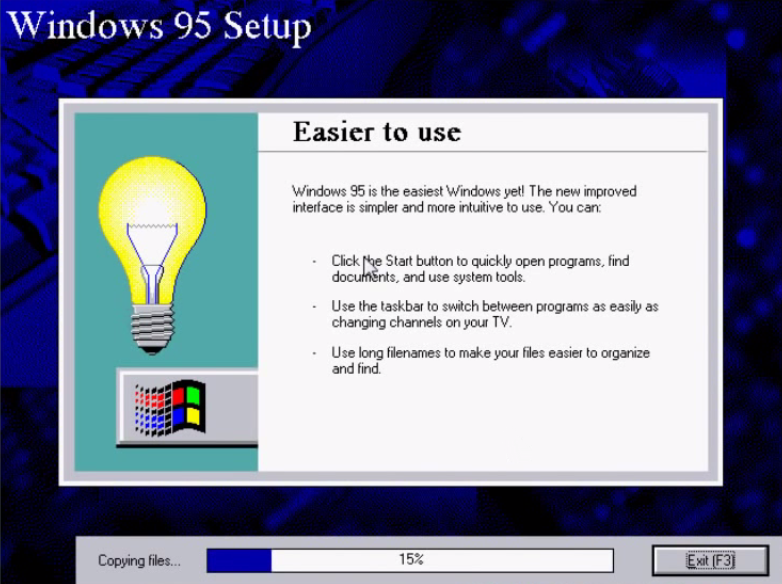 As share passwords in Windows 95 are not case sensitive, "Pa" and "PA" will also be accepted. The attacker can continue to increment the length and guessing the next letter one-by-one until he gets the full "PASSWORD" (as the maximum length is 8 characters). I believe all characters between ALT+033 and ALT+255 can be used in the share password in Windows 95, but as it is case insensitive, we have 196 characters to use, and a maximum length of 8 characters. In worst case this means that we can guess the full password in 1568 requests. The funny thing is that the share password is not connected to (by default) any username/account, and it cannot be locked via brute force. W00t w00t, it brute forced the password in less then 2 seconds! As you can see, in the middle of the dump we can see that it already guessed the part "PASS" and it is brute-forcing the fifth character, it founds that "W" is the correct fifth character, and starts brute-forcing the sixth character. If we are lucky with the CTF, the whole C:\ drive is shared with full read-write access, and we can write our team identifier into the c:\flag.txt. But what if we want remote code execution? Stay tuned, this is going to be the topic of the next part of this post.